Steps prides itself on the plethora of knowledge and depth of experience shared by the clinicians in Physiotherapy. Steps are able to offer client best in class movement and exercise techniques to bring about optimal movement and restore function. 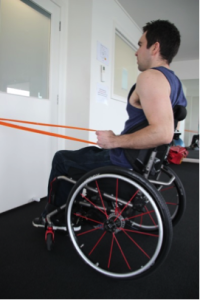 This is turn helps the client achieve an improved quality of life. At Steps Neurological Therapy Services, we strive to be the best neurological therapy service in Melbourne; by providing an innovative world-class service. Whatever your situation, your Steps physiotherapists will do everything they can to help you move better. This often requires trying new therapy approaches and thinking outside the square, we do this every day. Steps physiotherapy programs are individual and personalised, and can focus on assisting you to regain movement in a limb, improve your mobility, increase your independence at home and in the community, or simply maintain your current level of ability. Steps physiotherapists can develop a program that will assist you to return to high level sport, or simply work with you and your caregivers so that you can live a pain free, comfortable life. We are truly an all abilities practice. Your Steps physiotherapist will collaborate with other health care professionals to ensure you receive a holistic approach to your treatment. This might involve joint sessions with other health professionals to ensure all your therapy needs are being met. Steps Hughesdale location offers a meeting room, where team and family meetings can be held to improve your overall care. With your consent, we regularly update your GP and other health care professionals to keep them informed of your therapy progress. Regardless of the path that has lead you here, your journey at Steps will begin with a thorough neurological physiotherapy assessment. Expect to be asked about what you would like your Steps physiotherapist to help you achieve; expect to have your muscle length, strength, and tone tested; and your joint integrity, posture, and functional ability will be assessed. From these assessment findings, recommendations will be made for a therapy program designed just for you. If you’ve had an injury to your brain or spinal cord, or if you have a medical condition which affects your brain, spinal cord, nerves or muscles, you may find it difficult or be unable to walk. 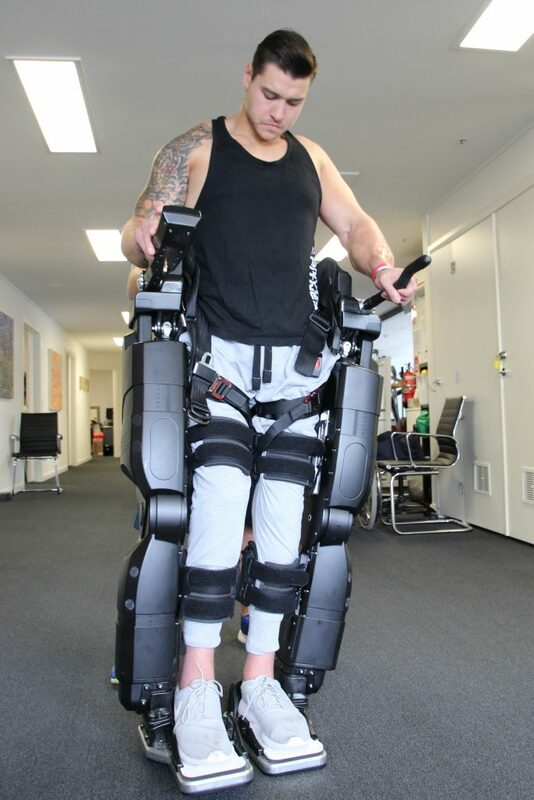 Steps Hughesdale offers a state of the art gait training facility, with 12m of ceiling track hoist for you to safely learn to walk again. Our Steps physiotherapists have many, many years’ experience in assessing and re-training the complexities of gait. All steps are exciting – taking your first step in a long while; making it up a flight of stairs; or improving your running stride, your Steps therapist will help you get there. Balance is a complex concept. Information from your muscles, joints, skin sensation, vision, and vestibular system in your inner ear, travels through your nerves to and from your brain. This information is processed and co-ordinated in your brain, to ensure you maintain your balance. A problem with any one of these systems can lead to a balance disturbance. Your Steps physiotherapist will assess all the components that contribute to your balance, measure your functional balance ability, and work with you to improve your balance. Whether you need to learn to stand up again; learn to use a slideboard to get out of your chair or your car; or learn how to get on and off the floor safely, your Steps physiotherapist will teach you the right technique to achieve your transfer goals. The Pilates approach harnesses the art of controlled movements, and aims to improve flexibility, build strength and develop control and endurance in the whole body. There is emphasis on alignment, breathing, co-ordination and balance. Exercises are modified to suit the individual’s ability level and functional goals. At Steps we have adapted the Pilates approach to offer this beneficial therapy to people with neurological disorders. We use specialised equipment including the Pilates Reformer and the Trapeze Table to help you gain back your strength, power and control. The Bobath concept is a problem-solving approach to the assessment and treatment of individuals with disturbances of function, movement and postural control due to a lesion of the central nervous system. It is based on present day knowledge of motor control, motor learning, neural and muscle plasticity, and biomechanics. The approach focuses on therapeutic handling to facilitate desired, normal movement patterns, with the ultimate goal of functional ability. Several members of the Steps therapy team hold specialist training in applying the bobath approach. Speak to your Steps physiotherapist today to see if the bobath approach could help you. The movement science approach is a structured framework for rehabilitation, and involves analysis of a movement task; practice of the missing component of that task; practice of the whole task; then transference of the newly learnt skill to other situations. This process enables ‘motor re-learning’. Your Steps physiotherapist can apply this framework to help you re-learn to roll over, sit up, stand up, walk, run, and so much more. Your Steps physiotherapist will take a thorough verbal history, then conduct several physical tests to determine the cause of your vestibular complaint. Treatment may involve a specific movement or manoeuvre carried out by your Steps therapist, or a series of exercises for you to complete at home. Your progress will be reviewed at regular intervals, and your treatment plan will be adjusted to reflect your improvements. Steps therapists frequently see people with Benign Positional Paroxysmal Vertigo (BPPV); Vestibular Neurontis and Vestibular Labrynthitis, but can also accept referrals for other vestibular conditions. Your Steps therapist will help you find the chair that’s right for you, and make sure it is customised to your needs. A thorough posture assessment will be completed, and your Steps Physiotherapist and Occupational Therapist will work in conjunction with the wheelchair provider of your choice to ensure you are prescribed a chair that best suits your needs. Your Steps therapist will assist you with wheelchair modifications as your needs change, and new and improved products become available. 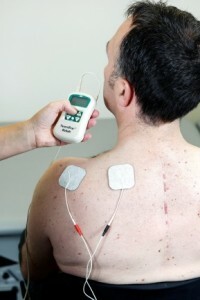 Your Steps physiotherapist will assess your therapy needs and source the most appropriate equipment for you. You might need a splint or a gait aid to improve your walking, or you might need some exercise equipment to help you get stronger at home. 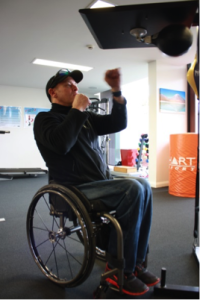 Whatever the need, your Steps therapist will source the equipment, arrange trials of the equipment, obtain quotes, and complete funding paperwork for SWEP, NDIS, or your compensable funding body (TAC, VWA, DVA). Practising new movement patterns and exercising in water can be an important part of your rehabilitation. Your physiotherapist can help you to find a hydrotherapy pool in your local area, then set up, monitor and progress an appropriate program for you. Your Steps physiotherapist will help you to set up an individualised program at your local gym. This program will be tailored to your current ability level, relevant to your therapy goals, and reviewed and progressed regularly by your Steps therapist as you improve. Your Steps physiotherapist will work together with your carers and family members to ensure they are helping you safely at home. Whether it be help for transfers or walking, or for completing exercises prescribed by your therapist, we will ensure you are your helper are protected from injury.